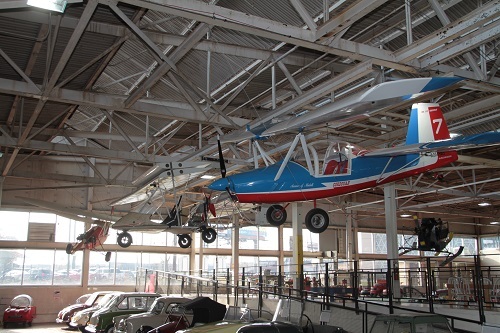 Chief designer Pierre Mignet, eldest son of Henri, the inventor of the Flying Flea, founded Mignet Aviation in 1982. The culmination of the Flying Flea design came in 1996 with their introduction of this model, the HM.1100 “Cordouan”, named for a famous French lighthouse. Like the previous HM.1000 “Balerit”, and unlike earlier Flying Fleas, the HM.1100 was a production model, and “homebuilt” plans are not available. The HM.1100 is equipped with ailerons on the rear wing, so that it can be controlled in three axes (yaw, pitch, and roll). As with other Fleas, it is a tandem wing aircraft, and is said that the Cordouan cannot stall. Stall typically occurs at low speeds when the air surrounding the wing fails to produce lift, which causes conventional aircraft to sink. The HM.1100 is designed to compensate for lack of lift; by pulling the nose up, it then begins a controllable parachute-like descent. The main wing is also known as a “free wing”. 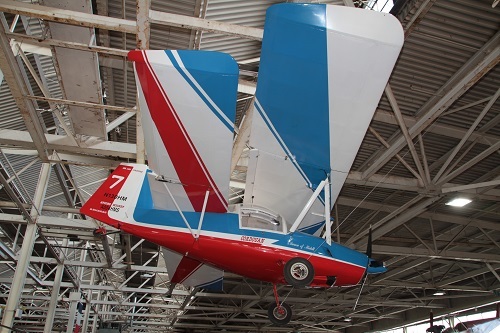 This wing is allowed to find its own angle of incidence, which helps to absorb the most turbulent “bumps”, and is controlled up to a certain point by the Flettner tab (the long downward facing tab at the rear of the main wing). 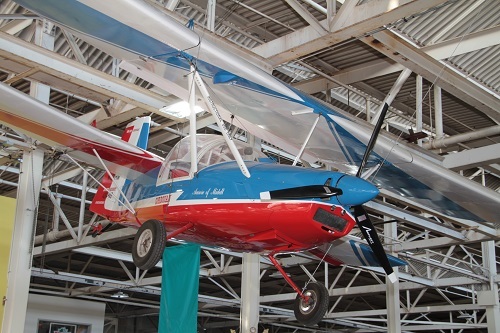 This special wing design, along with the enclosed cabin, fiberglass fuselage, distinctive folding wings, and the larger, more modern 80hp Rotax 912 engine made this model the most advanced of the Flying Flea family. This is the only known HM.1100 in the United States. Gross Takeoff Weight: Approximately 992 lbs.